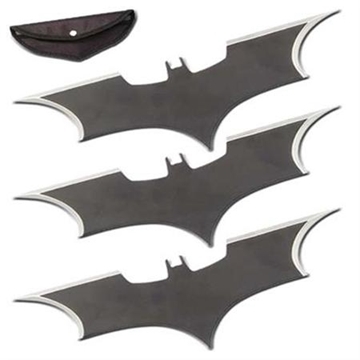 Largest Selection of Bat Throwing Stars! 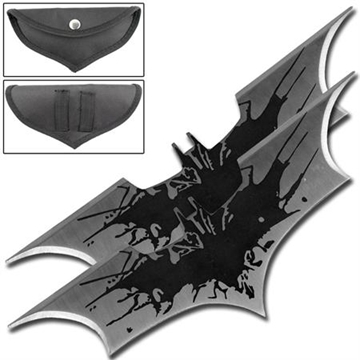 Accessorize your bat suit with all the bells and whistles. 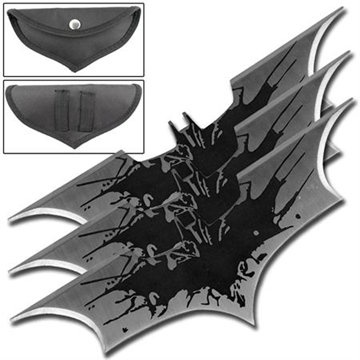 All Ninja Gear can help with the bat throwers and utility belt but you're on your own with the rubber uniform. Bigger bats are better bats! 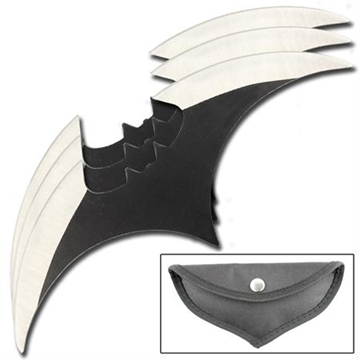 Eight serious inches of flying bat fury! Razor sharp edges and constructed from high quality AUS-6 steel. 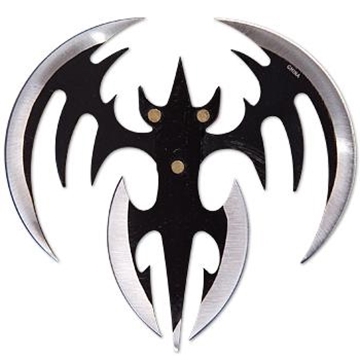 This ninja star features a bat with black wings edged in chrome blades. Includes pouch. Measures 4″ diameter. 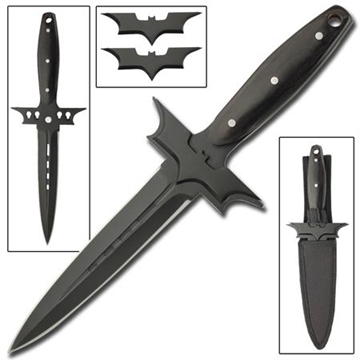 Ridiculously sharp knife with bat throwers attached! 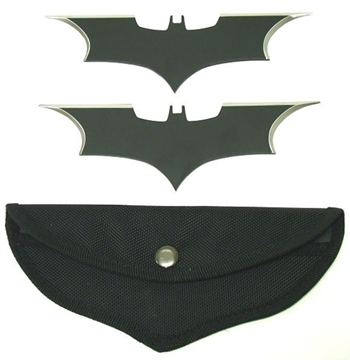 All the best Bat Gear in one tidy gift set! 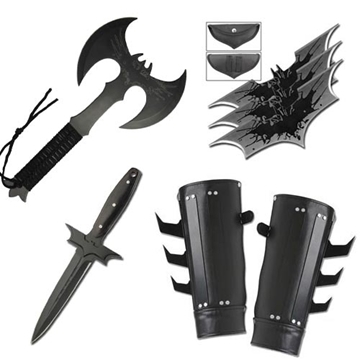 Includes bat throwers, a throwing axe, a dagger, and arm gauntlets.